Greycoat’s Ryan Anderson awarded “Top 10 Under 40” by Rock to Road Magazine. Industry magazine celebrates Greycoat’s product development manager as a “next generation leader” – March 2017. Greycoat Software was honoured to have our product development manager, Ryan Anderson, awarded a “Top 10 Under 40” award from Road to Rock Magazine for his dedication to quality and his innovative work with our partners in the aggregate industry. See below for the write up for Ryan, or visit Rock to Road for the full story with all the honourees. “Ryan Anderson, Greycoat Software, Lead Programmer, Kitchener, Ont. 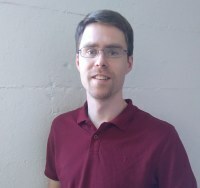 Ryan is an enthusiastic, adaptable, and extraordinary developer at Greycoat Software who has been committed to his work since joining the software company in 2006. Ryan has worked with many companies throughout the aggregate industry to help streamline aggregate operations through data optimization, organization, presentation, and standardization and to reduce the environmental impacts of shipping aggregates through dynamic map-based calculation tools. Ryan has also worked alongside industry organizations like TOARC to track surrendered, revoked, and abandoned aggregate operations to help bring increased levels of accountability to the industry. Among Ryan’s newest projects is the open-data based openaggregates.ca. This software is helping bridge the information gap between aggregate companies and the public they work to serve. This implementation of government created open-source data-sets to aggregate industry operations will allow for more interaction between government, industry, and the public, with a better understanding of the lifespan of aggregate sites and a closer look into how they operate.